Linking the Pacific and Indian Oceans, the Strait of Malacca is a definite contender for the most important strait in the world, seeing as 90% of the world’s container shipping vessels travel through it every year. Although the strait has been used for intercontinental trade since the times of Classical Greece and Rome, its importance has grown exponentially with the explosion of East Asian economic growth during the second half of the twentieth century. This importance stems from the fact that the strait is the most direct route between Asia and the Indian Ocean, making it critical for any supply chain looking to remain economically competitive. The popularity of the strait with shipping, however, presents a number of challenges to those traversing and maintaining it: as the volume of commerce travelling through the strait continues to increase year over year due to the increasing volume of international trade, the strait is predicted to reach its total capacity for container ships very soon. As container ships are increasingly slowing down due to the mariner’s equivalent of traffic jams, the region must seek to overcome its history of piracy. From a geopolitical perspective, the straits centrality to so many of the world’s supply chains has made it a blessing to some, and a curse for others. All this will be explored in this Strait Talk about the Strait of Malacca. Nestled between the Indonesian island of Sumatra and the Malay Peninsula, the Strait of Malacca is the bridge between the vast energy reserves of the Middle East, Africa’s natural resources, and the East Asian economies which rely on those two inputs as critical foundations for their manufacturing-based economies. Routing through the Strait of Malacca and up the Suez Canal provides the most direct route from Asia to Europe, resulting in a bidirectional movement of trade. Raw materials go east to west, while consumer goods head in the other direction through the strait. This unique position as both a shortcut and a bottleneck for trade between the Indian Ocean and South China Sea has resulted in the strait acting like a funnel for the massive volumes of trade flowing through it. The Strait of Malacca sees roughly 30% of all of the world’s trade, which adds up to more than 94,000 vessels passing through annually. The strait of Malacca carries a volume of trade nineteen times that of the Panama Canal. Some of the cargo travelling through the strait is more valuable than the rest; amongst the 94,000 vessels are numerous oil tankers, carrying approximately 15.2 million barrels of oil per day, a volume that is just 13% shy of that of the Strait of Hormuz. As most of East Asia has little in the way of economically viable, domestic carbon-based energy reserves, the Strait of Malacca serves as the energy lifeline for the region, and has been crucial in creating and sustaining the region’s booming economies of the late 20th century. China and Japan see 70 and 80 percent, respectively, of their oil imports coming through the Strait of Malacca. 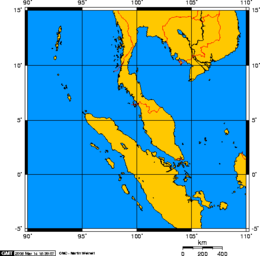 The Strait of Malacca is so vital to world trade that some economists flirt with calling it the most important strait in the world. The economic advantage that the straight provides for supply chains running through it means that the strait is wildly popular – too popular. With the volume of traffic going through the strait increasing almost every year, the strait is quickly approaching maximum capacity. 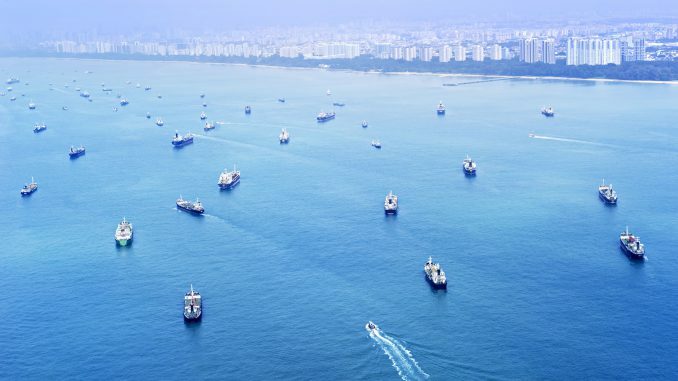 Researchers at the Maritime Institute of Malaysia estimate the carrying capacity of the Strait to be 122,640 ships annually. With shipping traffic expected to increase by over 6% per year, the Strait is predicted to reach its carrying capacity by 2024. The effects this would have on transportation travelling through the strait is exactly the same as what happens on congested highways – everything slows down and vehicles start piling up. As the Strait becomes more congested, accidents and collisions between ships are expected to increase. The narrowest point of the Strait, named the Phillips Channel, is only 1.7 miles wide, with only a fraction of that being navigable by the immensely large tankers employed by logistics companies. In 2006, there were already on average 7.5 ships passing through the strait every hour. So long as the number of ships traversing the Strait keeps increasing, the cargo passing through the region will either see slowdowns – the equivalent of aquatic traffic jams – or be forced to reroute around the island of Sumatra. Beyond the economic ramifications of such delays, the effects of any kind of slowdown in ship traffic is exacerbated by the region’s history of piracy. Slow or stalled ships make easy prey for small, fast moving pirate boats.Piracy similar to that off the Horn of Africa would not be unthinkable for the region, particularly since the Strait is bordered on either side by swampy terrain that is difficult to patrol. However, regional navies have worked diligently to curb piracy, reducing instances from 220 in 2000, to 150 in 2010, and finally less than five as of last year. With everything from oil to grain passing through one narrow point, there are strategic worries among East Asian countries that a foreign power, or even a rogue actor, could block the strait. Geopolitical Analyst Peter Zeihan has said of the Strait of Hormuz that “it takes an aircraft carrier battle group to keep the [strait] open. It takes just a destroyer to close it.”9 With the Strait of Malacca being only marginally wider than the Strait of Hormuz, many of the leaders of countries who rely on trade passing through the Strait of Malacca are taking actions to mitigate the effects of a prolonged closing of the strait. China has been investing heavily in pipelines through Myanmar to reroute oil from the Strait of Malacca to routes that aren’t vulnerable as a choke point. This has the dual effect of alleviating traffic over the strait, and reducing China’s dependence on it. A win – win for Beijing. Thailand has gone so far as to suggest cutting the country in half through the Isthmus of Kra in order to create a canal to compete with the Strait of Malacca.7 Countries like Japan, South Korea, Thailand, and Vietnam, who rely on the Strait the most, find it to be a significant weakness and are following China’s lead in trying to reduce their dependence on such a vulnerable bottleneck. It’s exceptional how the world’s major economies are reliant on a tiny stretch of water to transport their inputs and outputs. The Strait of Malacca can continue to facilitate countless industries and the livelihoods dependent on its commerce so long as countries set the issues straight.